First of all ,before I left this morning I deposited my Orvis waders in the garbage bin for this morning's pick up. I will be using my slightly less leaky loaner waders which I will try to aqua seal over the weekend. Unless I completely break down and go wader shopping this weekend. I would rather wait until next season. 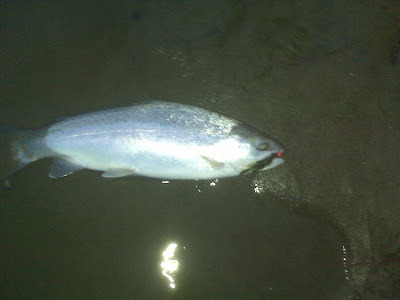 I hit the Catt at first light and on my second drift I caught a small chromer on a jig. That was it for that section. 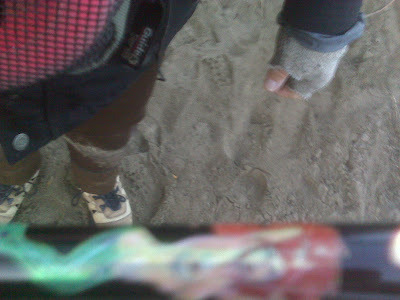 Like a dumb dumb I did not clean the grit from the pin last night and she wasn't flowing properly which was not fun. I think I need to lube her up. 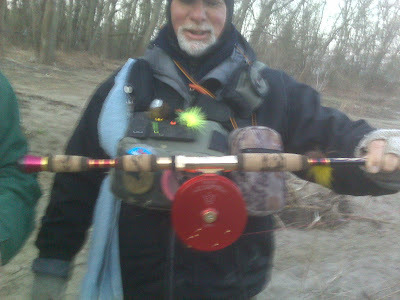 Jerry showed me one of his latest toys a red Kingpin Series 1 on a new rod he just whipped up. 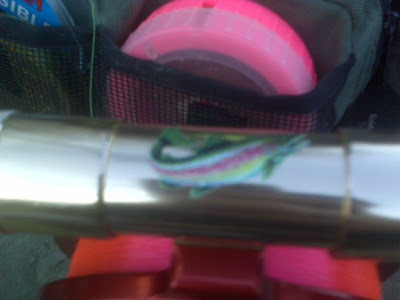 It was a gorgeous rod with beautiful wrapped, naked mermaids, and steelhead on the shaft. Jerry ... what are you up to now? Ten pins and how many rods? His rods are a work of art. I left those fine fisherman and decided to stop at one spot on the reservation. On my fourth drift I snagged up and lost my float. That was it for me today roughly 2 hours and done and I was happy with it. I have done well lately and I buried the waders today. Tomorrow I will be off relaxing and watching the NFL draft at Schombatron's household. This is a tradition that goes back over 10 years. Beer, food, and football. You see here in Buffalo the off season moves and transactions are more exciting than the heartbreaking regular season.